After his accession to the throne and the dramatic death of Afzal Khan, Aurangzeb sent Shaista Khan as viceroy of the Deccan with a large army to defeat Shivaji. In January 1660 Shaista Khan arrived at Aurangabad and quickly advanced, seizing Pune, the center of Shivaji’s realm. He also captured the fort of Chakan and Kalyan and north Konkan after heavy fighting with the Maratha. Afraid of Maratha bravery, they were banned by muslims from entering the city of Pune and Mughal distance from the locals turned out to be an error. On the evening of April 5, 1663, a wedding party had obtained special permission for holding a procession. Shivaji and many of his nearly 400 men disguised as the bridegroom’s procession members entered Pune. Others entered in small parties dressed as laborers and soldiers of Maratha generals serving under Shaista Khan. After midnight, they raided the Nawab’s compound and then entered the palace in an attempt to assassinate Shaista Khan. 1 Why ShivaJi wanted to Attack Terrorist Shaista Khan ? 4 When ShivaJi Attacked Terrorist Shaista Khan ? 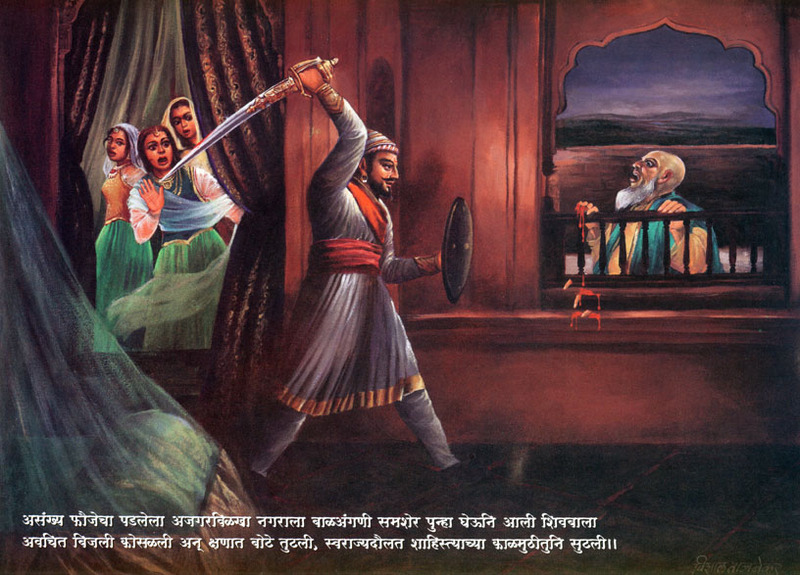 5 How Impactful was ShivaJi Raje’s attack on Evil Shaista Khan ? Why ShivaJi wanted to Attack Terrorist Shaista Khan ? It is one of the most famous exploits of Shivaji early in his career and has never been forgotten by successive generations in India. Shaista Khan, the maternal uncle of Emperor Aurangzeb, and the new Governor of Deccan, had made Shivaji’s position precarious by his furious offensive. He had even occupied Pune (9th May 1660). Shivaji had already lost Chakan (August 1660), Kalian (May 1661), and in March 1663 the Maratha commander Netaji Palker was worsted in a sanguary fight and he had to escape losing much of the booty being brought from the Mughal territory. 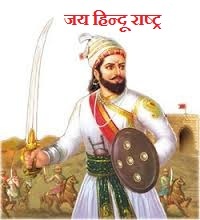 During these three years (February 1660 – April 1663) Shivaji had lost practically all the ‘Swarajya’ which he had won with great effort during the past many years and this was despite his many victories, such as at Umbar Khind (February 1661), Mira Dongar (1662), capture of Rajapur etc. He was completely non-plussed as what to do with Shaista Khan sitting pretty in Pune. At last he decided to extricate himself from this situation by some daring act to be executed by himself personally, as he had done about four years ago in case of Afzal Khan. Hindus never attacked at night, neither they touched women or kids during war like muslim terrorists during mughal rule did. Shiva Ji always respected muslim women and kids, he never attacked the future terrorists or terrorist breeder wombs. But he mastered the art of cunningness that mughals showcased umpteen times while attacking Hindu soldiers at night. And once used it to almost perfection. When ShivaJi Attacked Terrorist Shaista Khan ? How Impactful was ShivaJi Raje’s attack on Evil Shaista Khan ? This unbelievably successful attack on the Mughal Governor of the Deccan in the most protected area of the Mughal camp, surrounded by thousands of troops, immensely enhanced the reputation of Shivaji’s daring, while causing bitter humiliation to the Mughal court, but the most evident and fruitful result of this daring raid was the retreat of Shaista Khan to Burhanpur for safety and his subsequent transfer to Bengal. 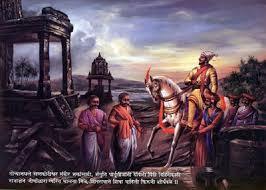 At one stroke Shivaji had nullified all the gains of the Mughals achieved during 1660-63.